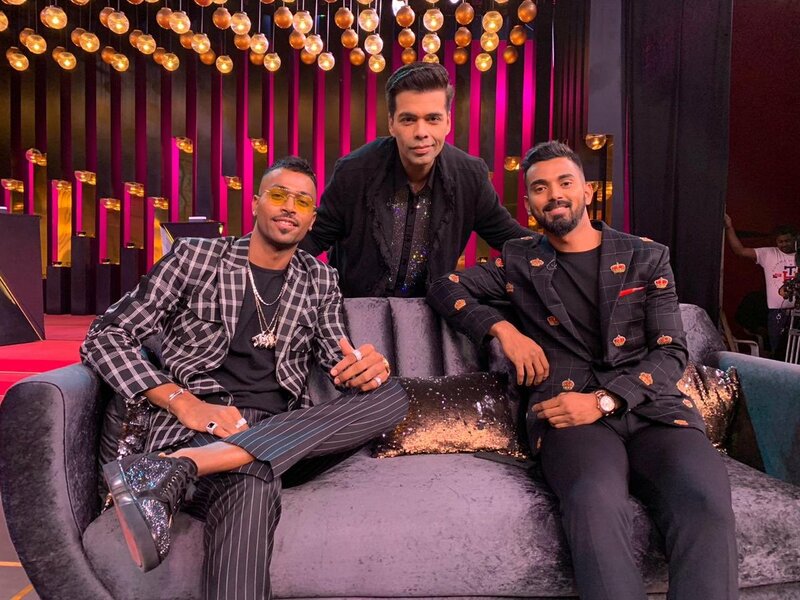 Things are going from bad to worse for Hardik Pandya and KL Rahul ever since they decided to appear on talk show Koffee with Karan. Both the players appeared on the show that aired last Sunday and since then it is grabbing the headlines for all the wrong reasons. Pandya is facing heavy backlash on social media for his comments that have largely been condemned as “misogynistic “, “cringeworthy” and “disgusting” across social media. Pandya, known for his lavish lifestyle, revealed some eye-popping details about his personal lifestyle and the repercussions have followed. On Friday, the BCCI suspended both the players pending inquiry. The Committee of Administrators (CoA) has sent a show-cause notice to Pandya and Rahul asking them for a reply within the next few weeks “as to why they should not be proceeded against for misconduct and indiscipline under Rule 41 of the BCCI Constitution”. As per Rule 41(6) of the BCCI Constitution, the players are hereby suspended with immediate effect from participating in any manner whatsoever in any match or function or event or activity that is authorized, organized, sanctioned, recognized or supported in any way by the BCCI, the ICC or any State Association, until final adjudication of the matter. Both the players have returned home and will miss the series against Australia and New Zealand as they await to learn their fate. Rahul and Pandya are now staring at bans from the BCCI after the suspension. And in case they are banned, it might put their World Cup hopes in danger. CoA member Diana Edulji has said that board will show no leniency even if the players fail to make it to the World Cup squad. “Nobody is bigger than the game. Nobody is bigger than the institution. There is a code of conduct, things are mentioned in the contracts. You need to follow these rules and regulations. Every player must understand his or her responsibility. Such loose talk gave a bad name to the BCCI and we had to correct it. Of course, we’re (calling them back). They have to return; what will they do there in Australia? They have not gone for a holiday. They have been suspended,” she told The Mumbai Mirror.